Molecular Testing for Oculocutaneous Albinism is a genetic test that is helpful in aiding a diagnosis of the disorder (Oculocutaneous Albinism). Oculocutaneous albinism is caused by genetic mutations. The methodology used for oculocutaneous albinism may vary from one laboratory to another. 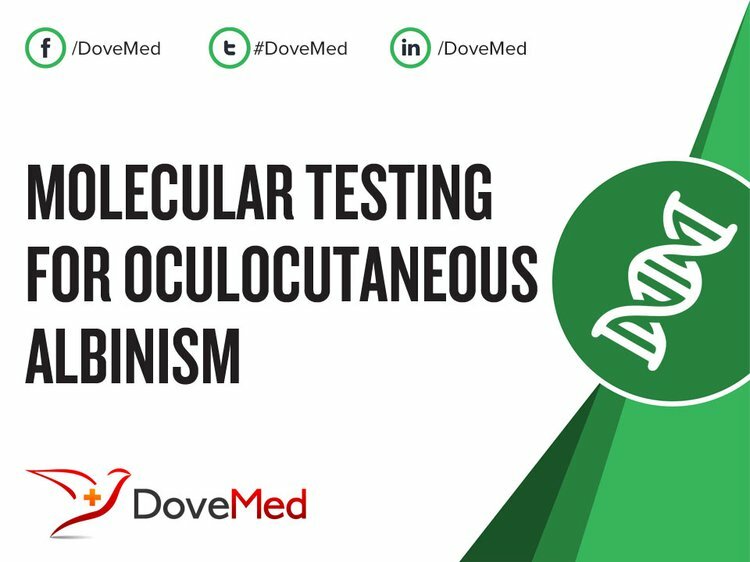 What are the Clinical Indications for performing the Molecular Testing for Oculocutaneous Albinism? How is the Specimen Collected for Molecular Testing for Oculocutaneous Albinism? What is the Significance of the Molecular Testing for Oculocutaneous Albinism Result? Borrero, P. J. S., Rodríguez-Pérez, Y., Renta, J. Y., Izquierdo, N. J., del Fierro, L., Muñoz, D., ... & Rivera-Caragol, E. (2006). Genetic testing for oculocutaneous albinism type 1 and 2 and Hermansky–Pudlak syndrome type 1 and 3 mutations in Puerto Rico. Journal of investigative dermatology, 126(1), 85-90. Simeonov, D. R., Wang, X., Wang, C., Sergeev, Y., Dolinska, M., Bower, M., ... & Huizing, M. (2013). DNA variations in oculocutaneous albinism: an updated mutation list and current outstanding issues in molecular diagnostics. Human mutation, 34(6), 827-835. Rooryck, C., Morice‐Picard, F., Elçioglu, N. H., Lacombe, D., Taieb, A., & Arveiler, B. (2008). Molecular diagnosis of oculocutaneous albinism: new mutations in the OCA1–4 genes and practical aspects. Pigment cell & melanoma research, 21(5), 583-587.